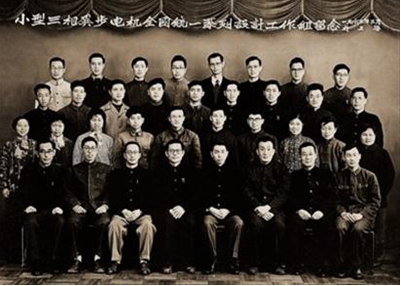 Shandong Boshan Motor Group Co., Ltd. (former Boshan Motor Factory) founded in 1942. 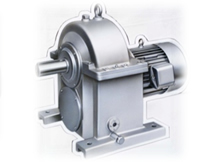 And early plant: the production of small DC generator and three-phase asynchronous motor. 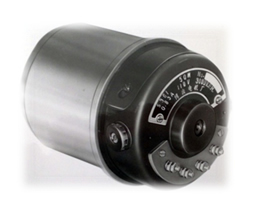 1951: in one of the earliest development and production of automotive starter and generator. 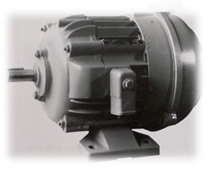 1953: in the first domestic production of gear reducer of three phase asynchronous motor. 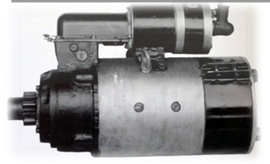 1956: in the first domestic production of tracked vehicle motor. 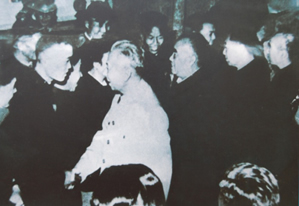 1956: Dacheng motor factory into the Boshan motor factory. 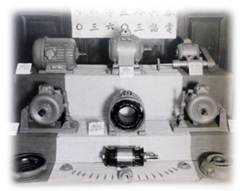 1957: first, the development and production of DC micro motor control in china. 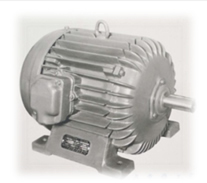 1962: the national unified series three-phase asynchronous motor in the domestic first batch production. 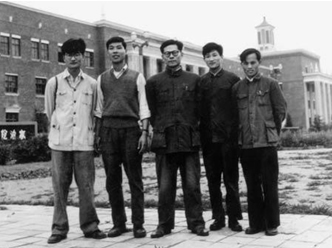 1978: won the National Science Conference prize of micro motor. 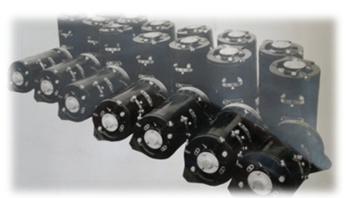 1979: as the joint design team leader plant development YCJ gear reducer of three phase asynchronous motor. 1984: micro motor wins national silver medal. 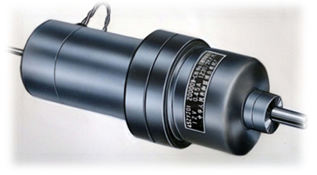 1986: technical cooperation with Switzerland KISSLING company production of U series of high precision gear motor. 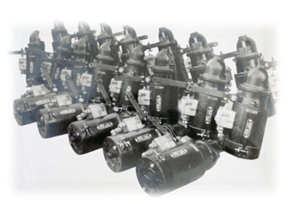 1988: with the international advanced level of U series reducer motor start to export and direct access to the European market. 1992: the first domestic development and production of motorcycle starting motor. 1993: as the first domestic machinery industry enterprises to establish a joint venture subsidiary in switzerland. 1998: 9001 through ISO quality system verification. 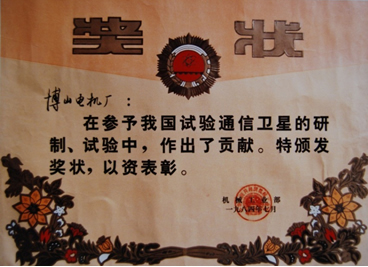 In 1998: "mountain" brand series of products won the title of famous brand of Shandong province. 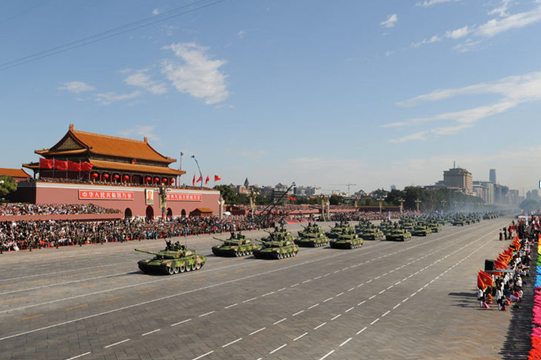 In 1999 (the 50 anniversary of the National Day military parade in the capital): motor vehicles was awarded command, the national defense science and Industry Committee, the National Machinery Bureau awards. In 2001: "mountain" brand motor trademark alone was the domestic industry famous trademark title. 2002: has issued by the Commission of science technology and industry for national defense weapons and equipment research and production license "". 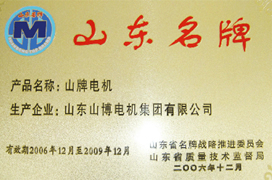 2003: Mountain "brand series of products won the title of famous brand of Shandong province. 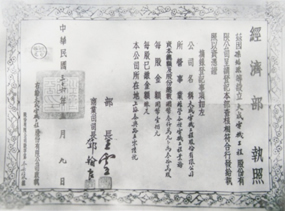 2005: the establishment of the Shandong Boshan Motor Group Co., ltd..
2006: the scientific research unit of weapon equipment two confidential qualification certification. 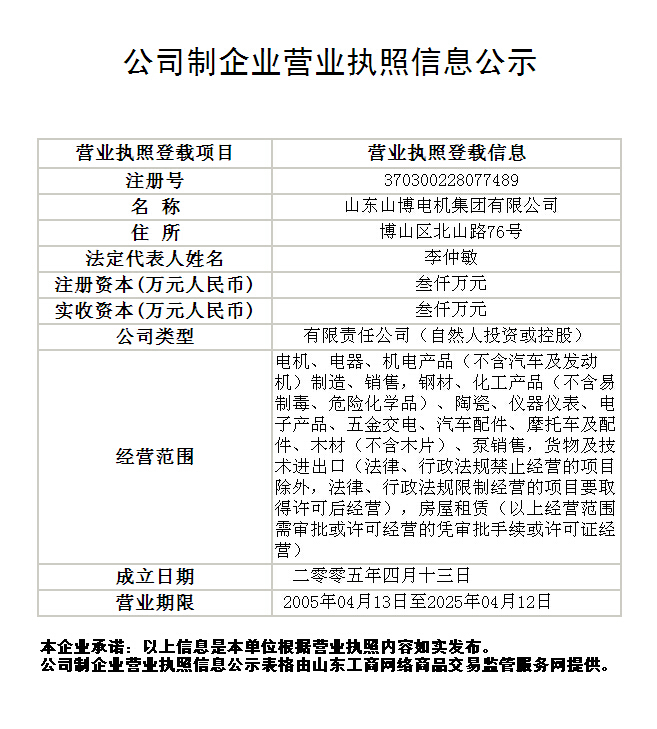 2007: micro motors are Chinese Electric Appliance Industry Association as a "quality trusted products". 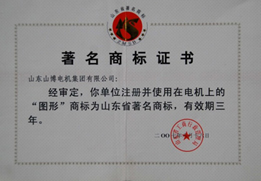 2008: passed the Chinese people's Liberation Army equipment contractor qualification. 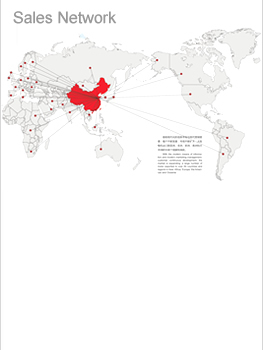 2008: be Chinese Electric Appliance Industry Association as "Chinese electrical appliance industry's most competitive enterprises". 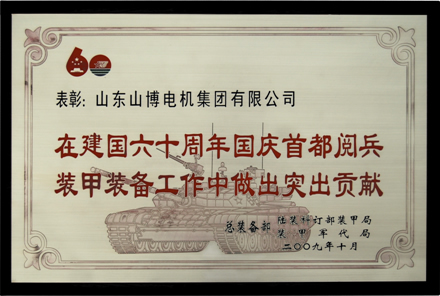 2009: make outstanding contributions in the sixty anniversary of the founding of National Day military parade in the capital of armored equipment work, won the General Armament Department commendation. 2009: be National Day parade equipment team headquarters rated as advanced units of equipment support. 2010: has been identified as high-tech enterprises. 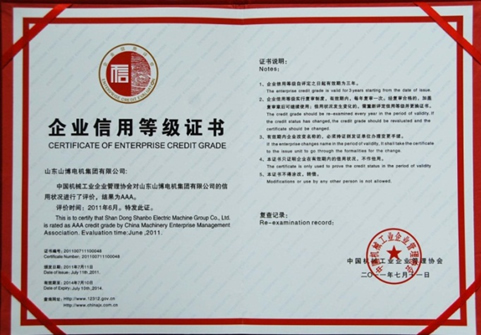 2010: was identified as the provincial "Shou contract re credit" enterprises. 2011: was identified as provincial enterprise technology center. 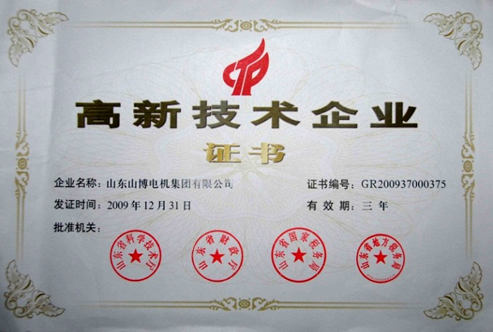 -2012: was named Shandong province cleaner production advanced unit. 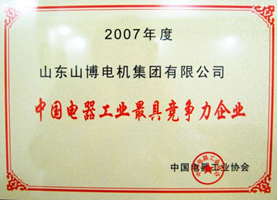 2013: Won the top ten famous brands of China electrical equipment industry. 2014: The military permanent magnet brushless motor project passed provirKial science and technology achievement appraisal. 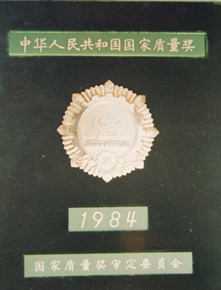 2015：Won the medal of outstanding contribution to the commemoration of the 70lh anniversary of the victory of the Chinese people's anti-Japanese war and the victory of the worid antifascist war. Re-elected as vice chairman unit of Vehicte-Use Electric Motor & Electrical Appliance Committee of China Association of Automobile Manufacturers. 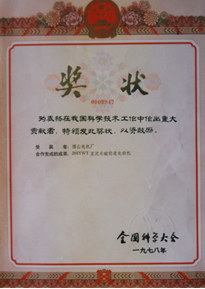 2016：It was conferred the title of model worker home by All-China Federation of Trade Union. 2017：Re-elected as vice chairman unit of Small & Medium Electric Motor Subassoctatiort of China Electrical Equipment Industrial Association. Re-elected as vice chairman unit of Micromotor Subassocialion of CEEIA. 2018：The trademark of "Shan Bo motor Shanbo EM" has been identified as a well-known trademark by the Trademark Bureau of the SAIC.